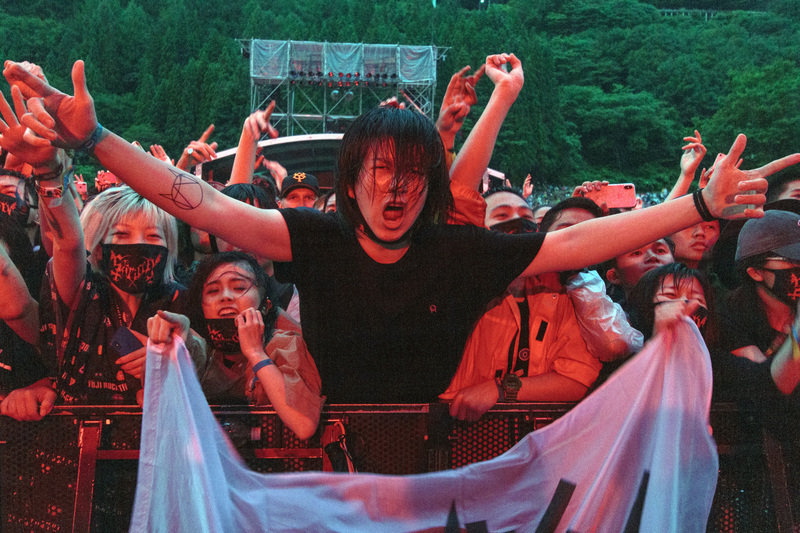 Nothing encapsulated the strangeness of this year’s Fuji Rock Festival than the spectacle that unfurled on the main Green Stage on Saturday night. 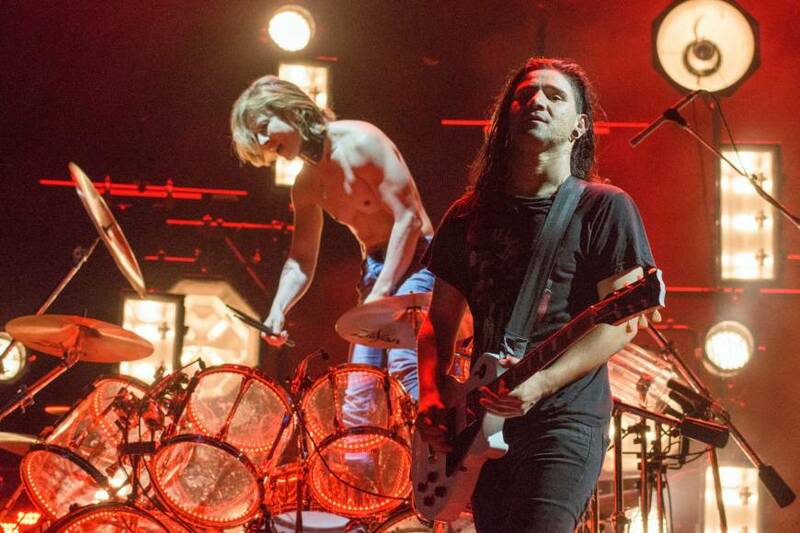 After delivering what was already one of the silliest sets of the weekend, EDM producer Skrillex returned for his encore, accompanied by a surprise guest whose identity was already well known to anyone with an Instagram account. It was Yoshiki, the flamboyant leader of heavy rock icons X Japan, who’d flown in from Los Angeles for the occasion. 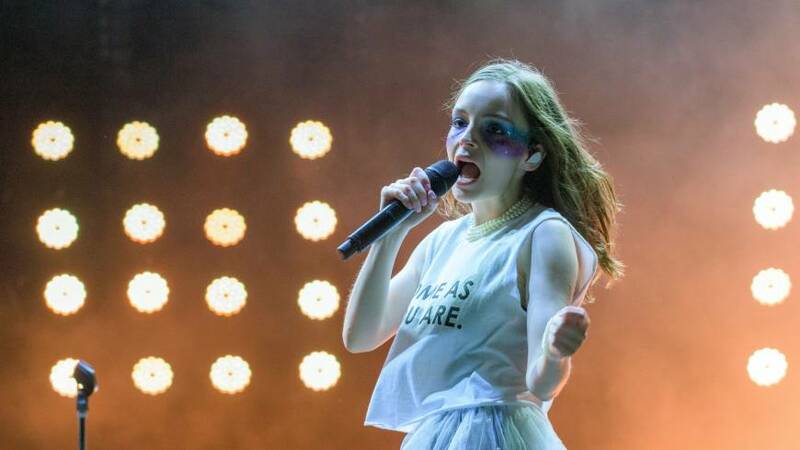 Sat at his trademark crystal grand piano, he led the crowd through a karaoke version of his group’s signature power ballad, “Endless Rain,” while his younger accomplice noodled along on electric guitar. A rendition of Skrillex’s “Cinema” followed, then the two men hugged, posed for photos and paced around the stage together, seemingly uncertain when — or even how — to leave. 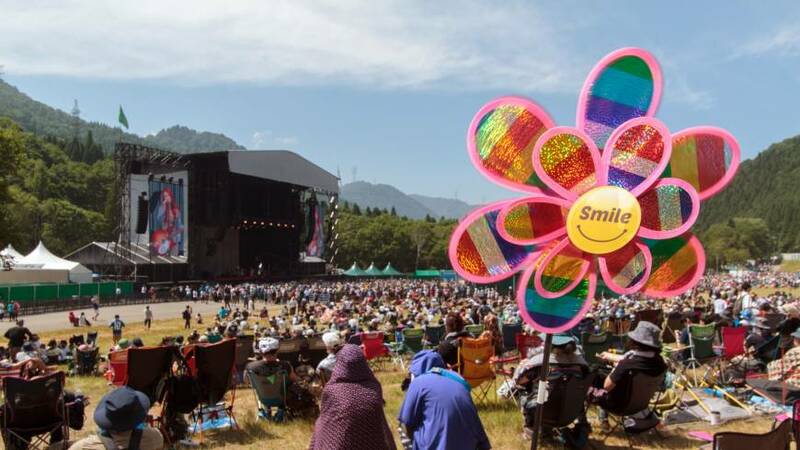 It was one of many moments during the weekend that would have been hard to imagine at Fuji Rock even just a few years ago. 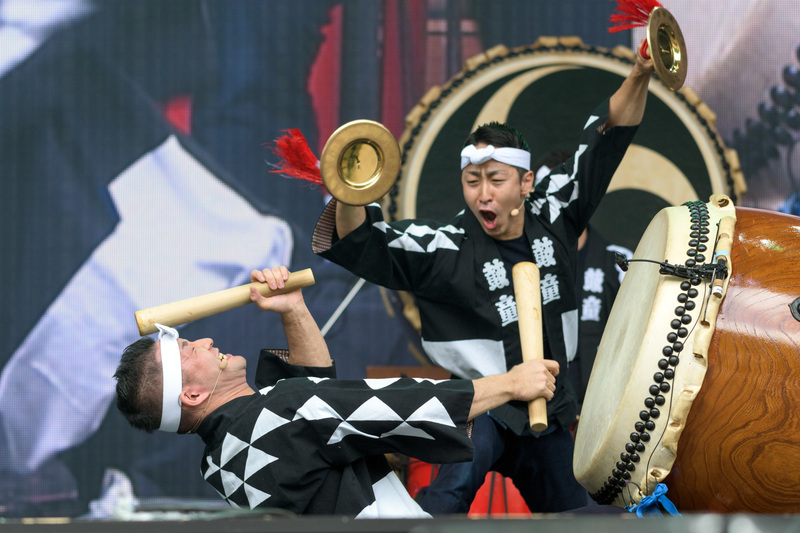 While the “rock” part of the festival’s moniker is nearly as misleading as the “Fuji” bit, this is an event that has tended to prioritize guitar music over other genres. 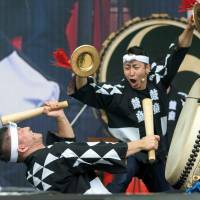 Going into the festival, it was honestly hard to find anyone who was excited about the overall lineup, which skewed toward Japanese artists, including mainstream acts such as Sakanaction, Maximum The Hormone and Misia. Some carped that it looked more like the kind of bill that Summer Sonic, Fuji Rock’s pop-leaning rival, would cobble together. Yet ticket sales were robust, with a lot of attendants — including tour groups from mainland Asia — apparently signing up for the festival experience as much as the specifics of the program. 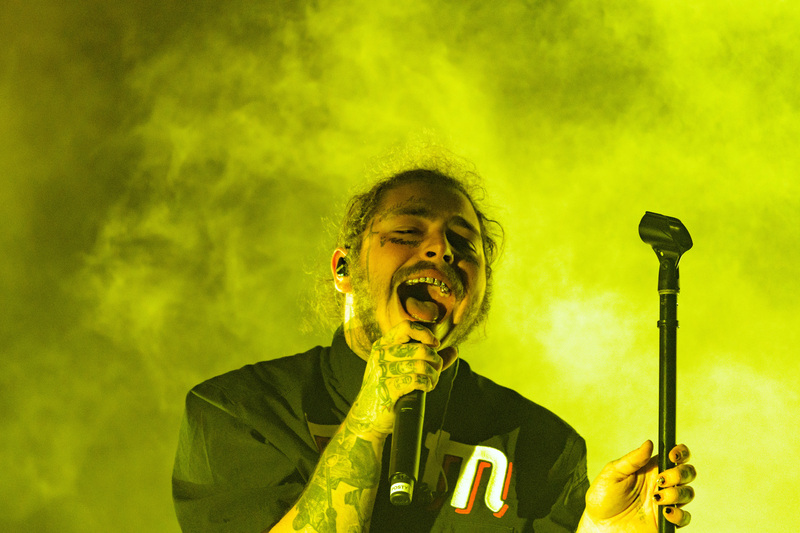 In a few cases — most notably Post Malone’s set on Friday night — it felt like artists were performing principally for the benefit of overseas visitors. The burly U.S. rapper may be a massive star elsewhere, but he was a virtual nonentity in Japan when he was added to the bill, and the people in the front row singing back every word of “Better Now” didn’t appear to be locals. That kind of interaction is key to the dynamic of hip-hop shows, and it’s one of the reasons why Anglophone rappers have often struggled to connect with Japanese audiences. 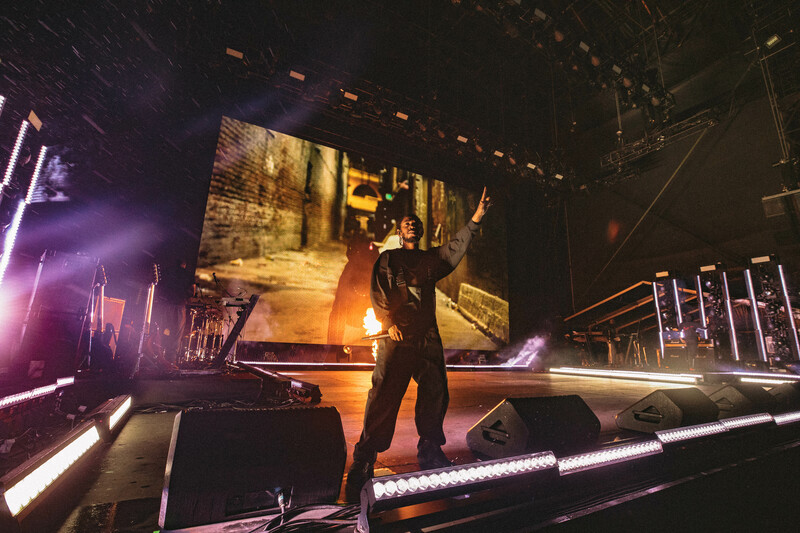 When Kendrick Lamar encouraged the crowd to sing the refrain of “Swimming Pools (Drank),” one of his biggest hits, the camera panned along a line of spectators looking like high-schoolers who’d forgotten to do an important homework assignment. Thankfully, that was a blip in an otherwise tightly controlled performance, which provided one of the highlights of the weekend. 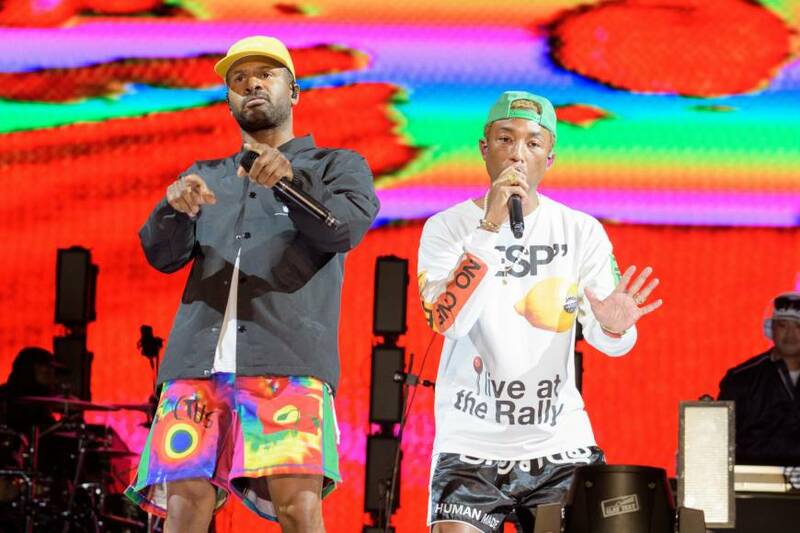 It was a marked improvement on N.E.R.D.’s lackluster showing the night before, when the boundless energy of Pharrell Williams and a posse of dancers couldn’t compensate for the thinness of the set, in which a brief rendition of Daft Punk’s “Get Lucky” drew a bigger response than any of the original material. 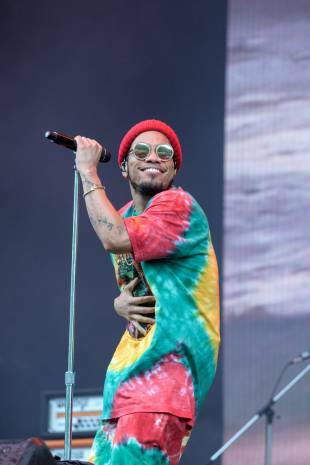 They were outclassed by Anderson Paak and The Free Nationals, whose Green Stage appearance on Sunday afternoon was a classic case of being the right people for the right moment. 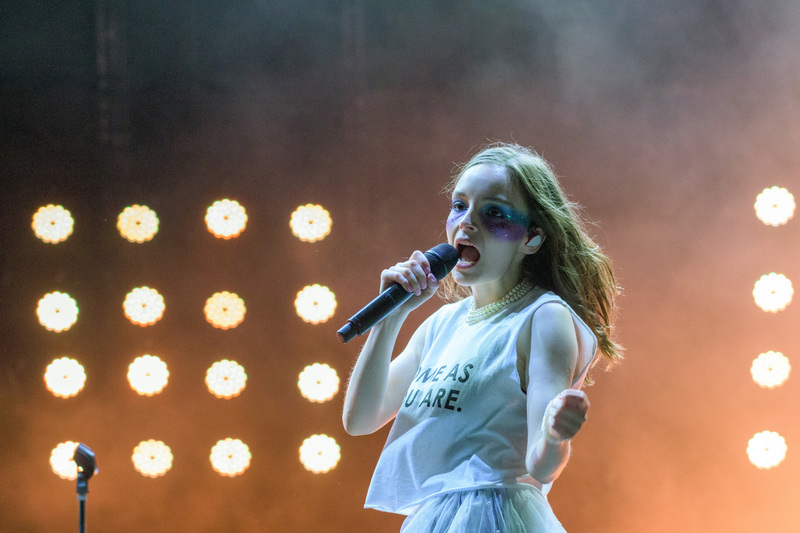 After a morning of blustery showers, the skies suddenly cleared as the group stoked the crowd with an exuberant mix of hip-hop, soul and funk, delivered with such gusto it was easy to imagine them headlining next time around. 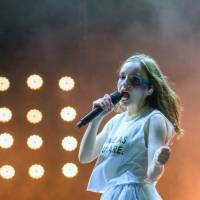 Judging from the raucous welcomes they received, first-time Fuji Rock visitors Superorganism, Hinds, Chvrches and The Teskey Brothers can also probably count on getting invited back. I’m not convinced strung-out LA rockers Starcrawler will last that long, though I’ve been wrong about these things before. 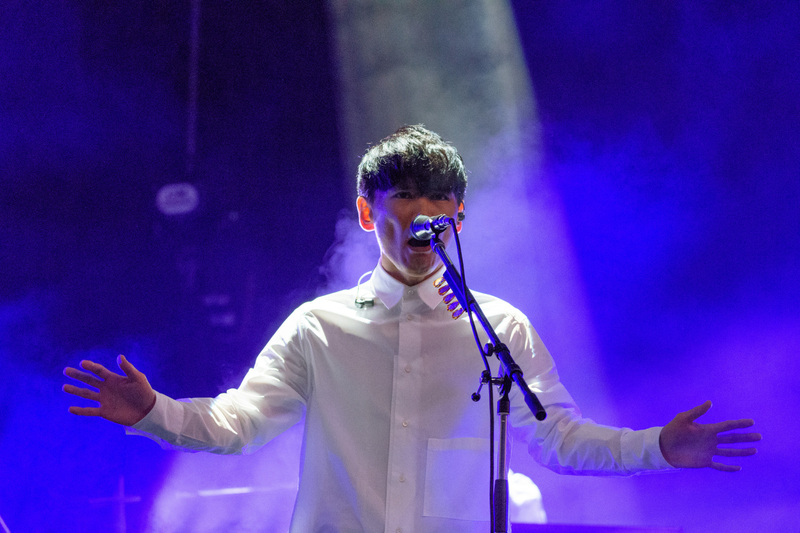 Electro rockers Sakanaction were a highlight among the Japanese bands, playing with a dynamism that some of the younger acts on the bill — including Suchmos, D.A.N. and Nariaki Obukuro — conspicuously lacked. 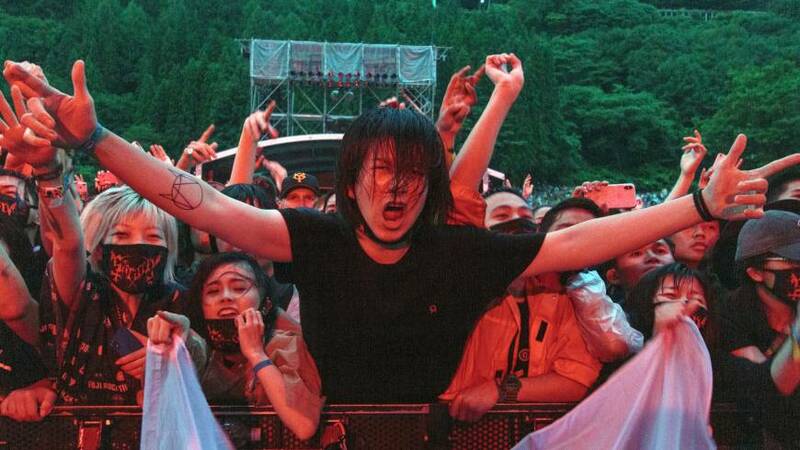 Even Maximum The Hormone, whose music I couldn’t possibly endorse, at least seemed like they wanted their audience to have fun. 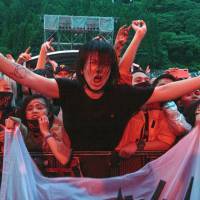 This was the first year that Fuji Rock offered live streaming, letting people follow the action from home. 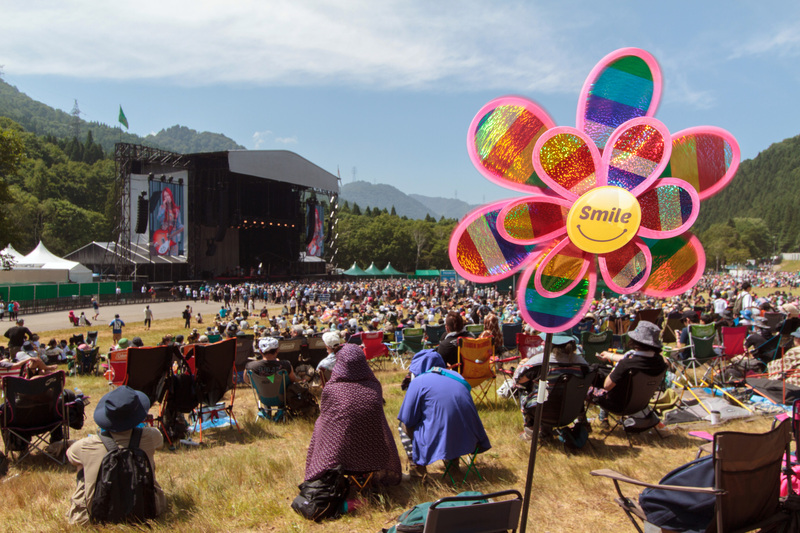 It was a welcome move, even if two YouTube channels couldn’t hope to cover the sheer variety of music served up on the festival’s dozen-odd stages. There were some notable omissions, too: Lamar’s set wasn’t broadcast, nor was the Sunday evening performance by this year’s most illustrious guest. Bob Dylan’s presence drew coverage in the kinds of broadsheet newspapers that usually ignore the festival. 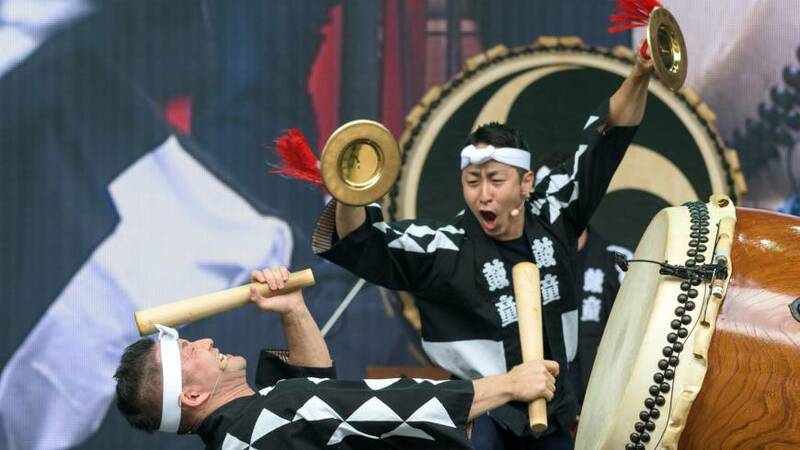 The Nobel laureate didn’t acknowledge the occasion — his 101st show in Japan, no less — or in fact say anything to the crowd, though his frequent grins suggested he was enjoying himself. It was a low-key affair, featuring many of his best-known songs in versions that only serious fans would recognize, and watched with due reverence by a massive congregation. 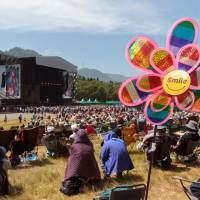 Organizers Smash Japan had cleared the schedules to make sure there were no competing attractions during the set — the Fuji Rock equivalent of a royal welcome. As with many of their decisions over the weekend, it turned out to be a good call.